Want to get your children excited about the Parashah? Would you like to teach them important life lessons in an enjoyable and relatable manner? Well, we’ve got a simple solution for you: stories. Good stories, to be precise. Stories My Grandfather Told Me is chock full of ’em, arranged in order of the weekly Parashah. Enjoyable? Check. Educational? Check. Free? Check! 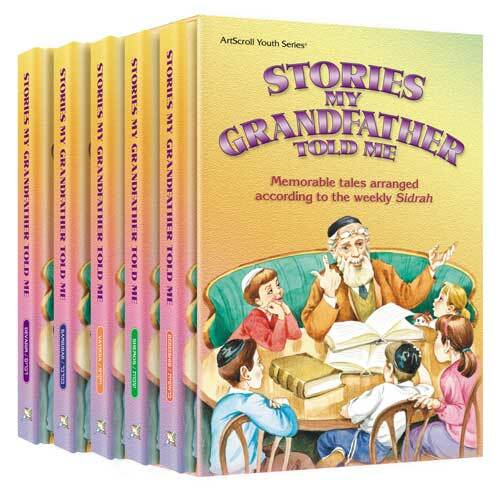 This week we’re giving you a taste of the timeless tales told in our classic series, Stories My Grandfather Told Me for our free weekly download.